On Friday, I finally met Sha for dinner and a movie and he took me to Gyoza King @ Tanjong Pagar! I was really nervous when he asked me because I was scared I wouldn't like it and I know how much he loves this but okay anyway we walked from the MRT station to this place which was surprisingly a nice walk for someone who hates walking... Anyway the place is really tiny and have high seats I thought I was gonna fall off. There's a form to fill up with your choices. 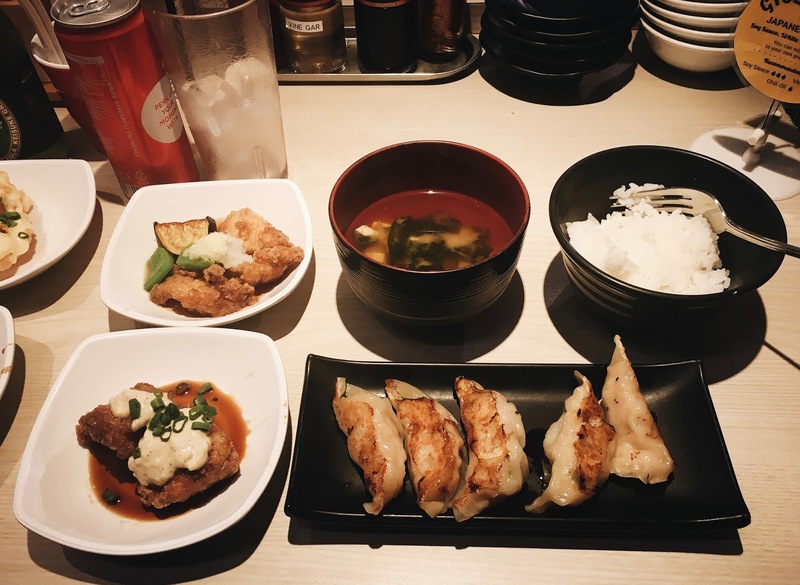 The Gyoza Set Meal is just $13.90, super affordable right? Look at it!! Marinated Bean Sprout & Cabbage Pickle on the table is FREE! You can get drinks too obvi and Sha got the Green Tea Cola and I got regular Coca Cola like I don't even like Coca Cola I have no idea why I chose that!! 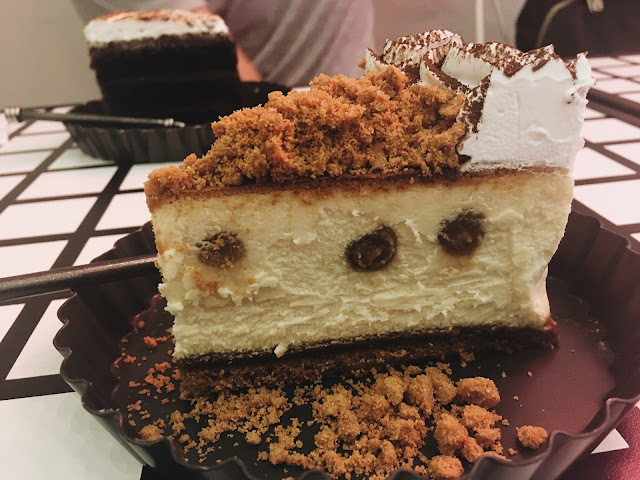 We still had some time before the movie so he brought me to Cake Spade which was just several stores down from Gyoza King and he bought me the Speculoos Cookie Butter Cheesecake!!! It was like $7.80 or something but he belanja hehe this was so good!!! It's so messy to eat but so. good. I'm obsessed with Speculoos if you don't already know so this was hEAVENLY!!! I don't know what Sha ordered but I stalked the Cake Spade website and I think his was a slice of the Mississippi S'mores cake?? I'm in cake heaven. Thanks S for bringing me to watch this or I probably wouldn't have watched it like, ever. I got a few emails about this movie so I was a little intrigued and man, I loved it so much. Barakah Meets Barakah is a Saudi Arabian love story between a middle class man who works as a municipal law enforcement officer and a girl he met who's an Instagram star, from a wealthy family, and they start a fall in love in a country that frowns upon it. I won't try to write so much because nothing I say can fully describe how good this was. I laughed so much, my stomach hurt. I wanted the movie to go on and on but it was only 88 minutes? ?